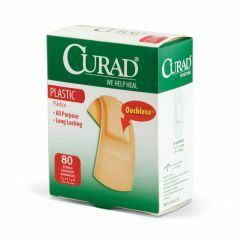 AllegroMedical.com presents The CURAD Plastic Adhesive Bandages. Plastic is the bandage standard. Cost effective and comfortable everyday protection. Sterile. Latex-free. Used at injection site, effective.